Streetscape, with the Lutheran church in the background. 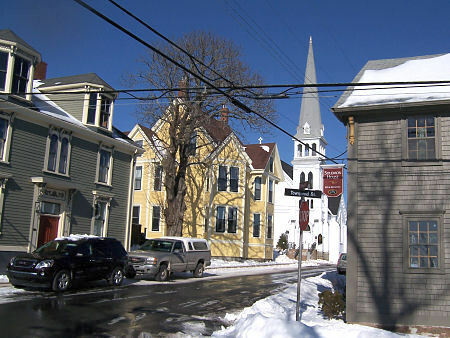 On the right is Solomon House, built in 1775 by one of the original 1753 German settlers, Heinrich Koch. He made a fortune in timber.